How people navigate on the web is a question since the beginning of the hypertext days. 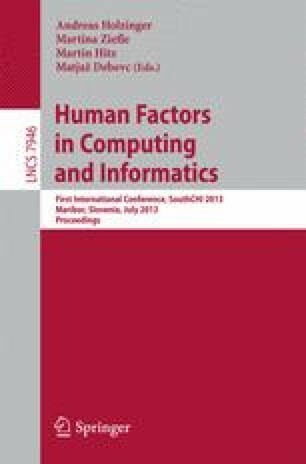 Computational cognitive models such as CoLiDeS, CoLiDeS+, SNIF-ACT, MESA etc. tried to address user navigation on the web. When it comes to the visual search of navigation cues the models have certain assumptions like serial evaluation, top down order, working memory considerations. Two experiments were designed to address the issue of how people attend the links and the role information scent in a successful navigation. The results strengthen the fact that people select the link with the maximum scent in a successful navigation. When presented a set of navigational links, the amount of time spent on a link and the number of times it is being attended has not significantly correlated with the information scent it carries. Furthermore serial evaluation of the links is not observed for the menu size used.